NIGERIA: POLITICS OR POLICY | Thoughts of a Calabarboy. 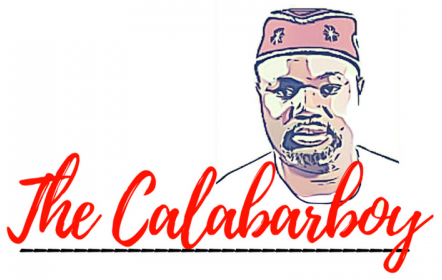 NIGERIA: POLITICS OR POLICY – Thoughts of a Calabarboy. I keep asking myself the question of what informs decisions in the Nigerian leadership. Is it policy or politics? Policy obviously is rooted in an objective assessment of needs, adequately matched with existing resources to enforce changes that guarantee general welfare with minimal negative externalities. Politics on the other hand is a subject hijacked by personal or group interpretations of what and how public policy should be shaped. It’s result is usually a satisfaction of a given interest with minimum positive externalities to the welfare of the country. Time has always revealed the trajectories of politics and its implication for an evolving system like Nigeria and of all time with the examples of the last administration, we have seen how an entire nation can be systematically manipulated by the political hubris of a highly opinionated few with no substantiated national plan of action. Now we are at the verge of being subjected to another jungle system of decision making that makes our beloved country a blatant mockery in the international system. It is very interesting how the leadership of Nigeria has just picked certain Ministers at the same time when the revered President Elect of the US is making his cabinet choices. I cannot but juxtapose the two events and compare the quality of choices made by both leaders. I will not get into the nitty gritty of the process, because the output tells the input and processes that go into decision making. The day you see mango fruits growing on on a tree with orange leaves, then there should be much concerns. But till when we see such a tweak, you only know a tree by the fruit it bears, and the choices we have seen in this Nigerian cabinet, tells us of the quality of thinking that went into the mechanism of selecting the cabinet. While I am in no way castigating the government for the quality of its choices, as I believe they must be capable in one form or the other, I want to strongly raise an issue regarding the appointment of Dora Akunyili as Minister for Information and Communications. When I look through Obama’s choices for his cabinet members, I rarely can find an overt political influence in those selected. These men are proven and certified leaders in the field they have been chosen to operate in. Consider his choice of Steven Chu, a respected Nobel prize winner in Physics, to be his Energy Secretary. Doesn’t that tell you of his sincerity to move that aspect of his economy forward. Behold Dora! Catapulted from Keeping our Drugs and Food safe to being the spokesperson and image launderer for the country. The whole world knew of Dora when she served in assigned duty successfully, backed with a thorough understanding of what her assignment was, being a Pharmacist. Now we have carried a Pharmacist and given her the role of a Public Relations expert and we expect that she will function with the exact creativity and innovation she dispersed in her former dominion? Absolutely foolhardy. While I do not doubt her intelligence and ability to adapt to any role she is assigned, I dare to say that we have shortchanged our national destiny by denying her the role of the Minister of Health. Today the Nigerian Union of Journalists rejected the appointment of the poor woman claiming that it is a show of “the usual disdain with which politicians perceive the media.” I am expecting the National Assembly of Nigeria to turn down this appointment and the other mismatches and do the right thing, based on the recommendations of well meaning citizens. In the 21st century we are still plugging in round in round pegs in square holes and hoping the round peg will assume the shape of its host. Ridiculous! In any case, I expect Dora herself to be sensible and be wise by turning down anything that will take the shine of her escutcheon. She has a worthy example in Okonjo-Iweala who threw in her towel after the Obasanjo administration tried to frustrate her by flinging her into the External Affairs Ministry. Dora is not the only one ohhh!! Let me show you a few more. Shettima Mustapha, an Agronomist is made Minister of Defence. To do what, grow Missiles? Nuhu Somo Way, an Architect now Minister of State for Power. To do what, design Power Plants? Ibrahim Bio, a trained Pharmacist is Minister of State for Transport. To do what, prescribe drugs to out vehicles? I am feeling tired already going through all this. When is our country going to put aside politics and let policy be the reason for taking decisions. Our institutions are failing for lack of effective leadership to steer the wheels. We all saw what this can produce when Dora did what she knows best. We saw what Duke did with tourism, yet we don’t know if the man with the most ambitious tourism project, for which he was largely successful, was ever contacted to handle the Tourism Ministry. We are tired of being used as experimental pigs in the laboratory of party crassness. I remain of the opinion that we need to unclothe Nigeria, give her a thorough bath before we choose what to clothe her with. As for some of these present national designers, they have run out of ideas, if they ever had one. And come to think of it. The office of Information and Communication requires that the holder possess some level of oratory finesse and diplomacy in conversation. I have heard Dora speak and reason and admire her intelligence, but for the above….. all I can say is… hmmmmmmm!!! → Obama: Historic or Symbolic? Please, tell me you are being sarcastic. If not, let me introduce you to a new term – “bow and go”. Google it in terms of Nigeria. I think Thy Glory Oh Nigeria and Chxta have blogged about it recently.